Saying the right thing at the right time is important -- especially when it comes to mentoring. 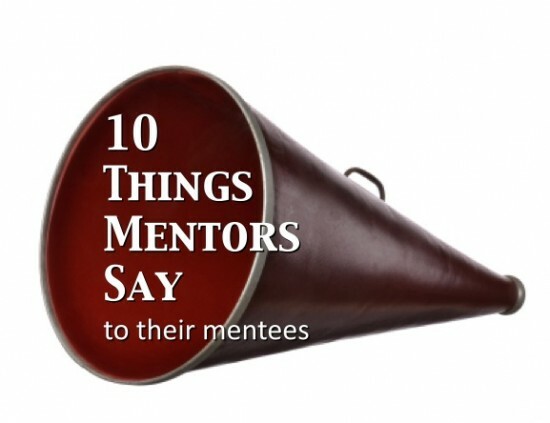 In this post I talk about 10 things mentors say to their mentees. When a small-time farmer discovered oil on his land, life changed! He sent off his daughter for an Ivy League education. During Spring Break the daughter returned to the farm with some of her new "old money" girl friends. Immediately after lunch on the first day of their visit, the farmer got up from the table and said, "Well, I guess I had better go spread some manure." The daughter was aghast. She turned to her mother in horror and in voice refined by her new education declared, "Mother, can't you at least teach father to say, 'fertilizer' when we have guests?" Her mother replied, "My dear, do you have any idea how hard it was just to get your father to say, 'Manure'?" Mentors choose their words carefully. They know that what they say can be wind in the sails of their protege, or a gale that beats them back. 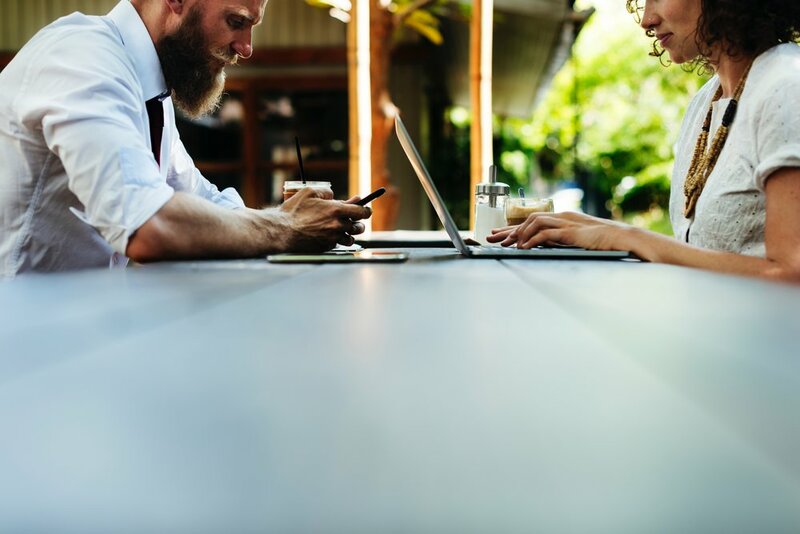 Here are ten things mentors say to bring out the best in their mentees. I am indebted to Phil Downer and his work in Eternal Impact for the idea for this post and for some of the sayings you will read. 1. "I am praying for you." Mentors know the power of prayer. They ask, "How can I pray for you?" Then they follow up that question by praying. There is a vast difference between saying, "I'll pray for you" and "I am praying for you!" Mentors take the time to pray because, like Tennyson, they believe "More things are wrought by prayer than this world dreams of." How are you praying for your protege? 2. "I believe in you." How do you see your protege? John Maxwell says, "You've got to put a '10' on a person's forehead." In other words, you must see people not as they are, but as what they will become. Mentors do this. They know they can't make a little leaguer a major leaguer overnight, but they believe the best and work to bring out the best in others. Mentors point out strengths, discover hidden talents, and see their proteges as what they can be with God's help. This is what Barnabas did for Paul. You can read his story in Acts 9:26-30 or view the post, "You've Got To Kiss Someone" for more insight into this principle. 3. "How can I help you?" Mentors show their care by asking, "How can I help you?" or "What would you like to know?" Mentors don't have all the answers, but they do have a certain set of skills. They make their knowledge about these skills available to those they are mentoring. 4. "Why don't you come with me? Mentors bring others along with them! They know the power of active learning over passive learning. Where can you invite your protege to join you? 5. "You can do it!" Emerson said, "Our chief want in life is somebody who shall make us do what we can." That is the role of a mentor. In the movie Rocky, Mick was the crotchety trainer who helped transform Rocky Balboa into a heavyweight contender. Mentors are like Mick. They are in our corner. They may push us hard, but they say the words we need to hear: "You can do it!" They do this because they believe in us. Think about your protege. When was the last time you said, "You can do it!" 6." You are making a difference." Some years ago I was sitting at a round table event with a national leader. I was sharing with the group how our team had leveraged a particular event to maximize its impact. The leader with the national platform said, "That's great leadership!" To my knowledge those were the only words he spoke directly to me, but that affirmation has been reverberating in my soul for a decade. Mentors catch their mentees doing things right and then affirm it with words that convey, "You are making a difference." 7. "Let me push back on that thought." Mentors are not all encouragement. At times they push back on ideas, behaviors, or leadership actions. They know that part of their job is saying the hard words. If a mentor does not push back on weak thinking, poor performance, or faulty character . . . who will? "Pushing back" makes your protege better. Have you been honest with your mentee? Is there a thought or an action that requires a push back from you? This is all part of "sharing the last 10%," which I will highlight next. 8. "How can you make it better?" Mentors push their proteges to make things better. To do this they must say the hard words at times. This is called, "sharing the last 10%." In most conversations we can easily discuss 90% of what is on our minds. But there is 10% that is harder to convey: an annoying habit that needs to be addressed, an oversight or failure that we must bring to light, or a way to better performance that the mentee is not seeing. So mentors highlight a project, or a relationship, or an aspect of character and ask, "How can you make that better?" Mentors share the last 10% because they want to make their proteges better. 9. "Let me encourage you to ..."
Mentors passionately urge their their proteges to be their best. In the Scriptures, Paul and Timothy exemplify a classic mentoring relationship. Paul is the seasoned leader who urges a younger Timothy to be his best for God. Think about your mentoring relationship. How would you fill in the blank: "I want to urge you to: ____________________." These words are born out of a heart for God, a deep relationship with the mentee, and a passion to see that person improve. Is there a charge you need to give to your protege? The world is a desert. Your mentee travels that dry land and it is often a struggle. Your words are water for his or her thirsty soul. Take the time to say the things that refresh their hearts and push them forward. Review the 10 Things Mentors Say. Which one does your mentee need today? Phil Downer, Eternal Impact: Investing in the Lives of Men (Harvest House Publications, 1997). Alan Loy McGinnis, Bringing Out the Best in People (Minneapolis: Augsburg Publishing House, 1985), pages 31-34. Fritz Rienecker, A Linguistic Key To The Greek New Testament, Volume 2 (Grand Rapids, MI: Zondervan Publishing House, 1981), page 268.